Flip 4 cions. The attack does 40 daamage times the number of heads. Flip a coin. 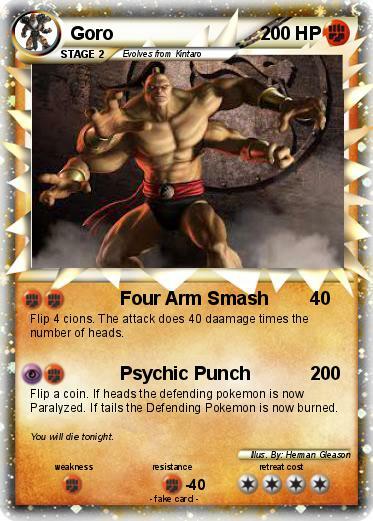 If heads the defending pokemon is now Paralyzed. If tails the Defending Pokemon is now burned. Comments : You will die tonight.